At TS Freight, we offer clients tailor made and affordable freight transport from across China to destinations across the world, including South Africa. Our reputation as a top international air shipping and international ocean shipping company is reflected in the superior service which we provide for businesses looking for cargo shipping from China to South Africa. We have a robust network of global partners located between China and South Africa who we coordinate with during shipments along the route. With the help of this network we ensure that clients can source their goods from all the major Chinese cities including Hong Kong, Shanghai, Shenzhen, Tianjing, Hangzhou etc to major South African cities including Cape Town, Durban, Port Elizabeth and others. Shipments are handled with the greatest care along the way and transported in the shortest possible length of time. We are also able to offer best prices on freight transport packages because of our connections. Each step of the logistics operations chain from pickup to delivery is carefully monitored by our expert staff members who work round the clock to track your cargo shipment. They also examine the different stages to prevent any glitches and ensure the shipment reaches its destination on time and with extreme care. Our responsibilities include monitoring pickup and packaging, handling and custom clearance, as well as door to door shipping. 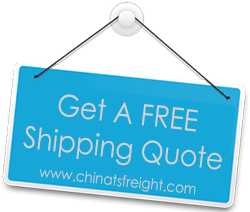 When you pick our services for your cargo import from China to South Africa, we offer you a reasonable price quote and also advice on the best way to transport your shipment.